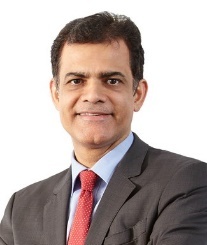 Anuj Puri, former Chairman & Country Head of international property consultancy JLL India, today announced the launch of ANAROCK Property Consultants Pvt. Ltd., essentially rebranding JLL's erstwhile residential brokerage business which he acquired earlier this year. Simultaneously, Puri announced the Firm’s real estate investment and fund platform, which will invest INR 300 crore in Residential real estate projects. "We have chosen the brand ANAROCK with the motto 'Values Over Value' to reflect a business model and philosophy founded on the bedrock of Trust and Reliability," says Anuj Puri, Chairman - ANAROCK Property Consultants Pvt. Ltd. "ANAROCK is the Group Brand, which will house multiple real estate services verticals. We will provide our regular residential advisory services which charges zero brokerage from our customers. Additionally, the Firm will operate a revolutionary business model of bulk-purchasing residential apartment inventory through a proprietary investment fund.ANAROCK will also provide debt, equity and mezzanine funding to residential developers. And this is just the beginning.” Ashwinder Raj Singh, who continues as CEO - ANAROCK Property Consultants Pvt. Ltd. is currently enhancing the Firm's team of residential brokers to a Pan India headcount of 700 by the end of 2017. ANAROCK’s radical and disruptive residential brokerage model fully enables supply, demand and discovery through a digital platform, with transactions facilitated offline via highly-trained real estate experts. "Our unique, multi-pronged approach will significantly differentiate ANAROCK from all other players within the Indian residential property market," says Puri. "We are fully substantiating the Firm’s motto 'Values Over Value'." ANAROCK’s Investment and Fund platform, which is targeting a capitalization of USD 500 million by 2020, currently houses two funds. ROF-I, with its recent investments, stands fully deployed at INR 161 crore and has already demonstrated successful exits. ROF-II, for which INR 300 crore were raised in 2016, will invest into meaningful residential assets from a existing pipeline and its deployment will commence as soon as it completes the last leg of regulatory requirements. The Fund’s key focus areas will be underwriting and asset management, since in the current market dynamics and with the introduction of RERA and implementation of GST, delta returns and successful exits can only be achieved through constant monitoring and robust in-house asset management.